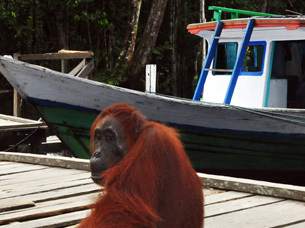 The beginning of full season is coming for Tanjung Puting National Park. June is the month of the beginning of the season. On my last visit, 3 days ago, I saw many people coming from around the world to the park to see the great ape Orangutan or any of the 9 of primates like the long nosed monkey, black handed gibbon, red leaf monkey, and birds like Kingfisher, Hornbill, and other animals like wild boars, crocodile etc. Now everybody is ready to welcome the busiest season in the year! In this season sometimes there are not enough boats, crews and guides for the guests. Because of that you have sometimes to spend a night or more to get the boat. 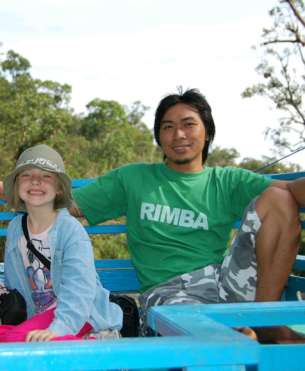 Therefore for travellers who would like to experience an amazing orangutan trip, please decide to book as soon as possible. Don't wait until last minute, because the price for the flight ticket will be getting higher and there could be no boat, crew or guide available!